A beauty queen, this lady certainly is not. 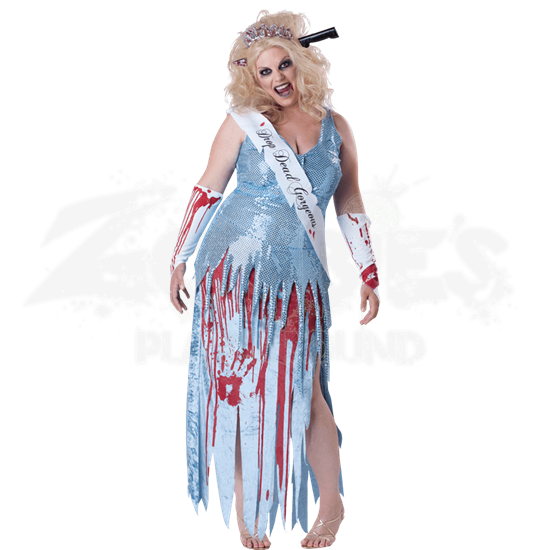 This Womens Drop Dead Gorgeous Plus Size Costume will transform any girl into deathly diva who has had a bad run-in with a knife, not that a little impaling has slowed her down any. This dramatic costume recreates the look of lovely lady who was cut down in the middle of a beauty pageant. Death has not stopped her from seeking out her prize, though! This costume consists of a full-length blue gown with jagged, draping hems, as well as a matching sequin waist cincher to help provide the right look and shape. A printed banner declares her DROP DEAD GORGEOUS, and who would dispute? Blood-stained white glovettes and a tiara showing an impaled knife complete this look with violent glamour. 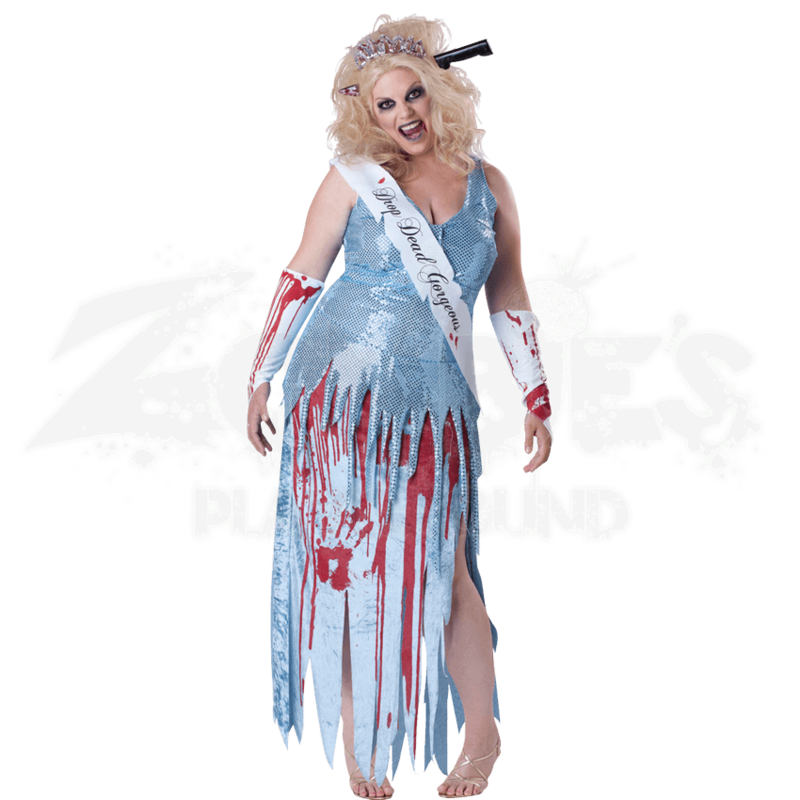 This costume makes a great choice for any zombie walk or Halloween bash.